For readers and booksellers, this is news to rival the discovery of a new Harry Potter story. “His Dark Materials” has sold more than 17.5 million copies around the world. It spawned a Hollywood movie, The Golden Compass, and a hit stage adaptation. The new book begins a decade before the start of the original trilogy, but Mr. Pullman says it is not a prequel. Nor is it a sequel. Mr. Pullman prefers to call it an “equel,” or companion story. 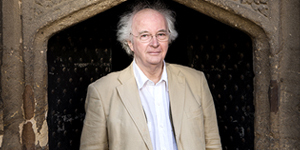 NPR’s Morning Edition is airing an approximately 10-minute taped interview, Author Philip Pullman Announces A Follow-Up Trilogy To ‘His Dark Materials’. Access it here.